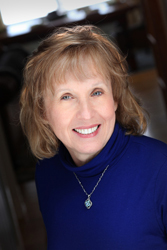 Linda has over 30 years of experience in the real estate industry. Born and raised in Michigan, Linda moved to Arizona to attend Arizona State University where she earned a Bachelor of Science degree in Land Management. Linda started her professional career in real estate at the Arizona State Land Department where as a team member, she managed over 9 million acres of State Trust land for the benefit of public education. She then went to work for Salt River Project, the 2nd largest utility company in the State of Arizona, as the broker for a 320 acre mixed use development. Linda managed all phases of development on the project producing millions of dollars of revenue for the company. Ultimately, she became the manager of the Land and Property Management Department for Salt River Project where she provided oversight for all land sales, leases and acquisitions. During this time she served as the broker for all residential, commercial and industrial land transactions. Linda fulfilled a life long dream in 2001 when she and her family returned to Michigan to live. Since that time she has become involved in the community by serving as the, past President of the Board of Realtors, Presque Isle Township Zoning Administrator, past Chairperson of the Presque Isle Harbor Architectural Control Committee and a member of the Presque Isle County Economic Development Commission. Lakeshore's goal is to be the best real estate company, not the largest. Linda's success in real estate sales can be attributed to her extensive knowledge and experience in real estate negotiations, her strong communication skills and ability to work with all kinds of people. *Based on statistics taken from the Water Wonderland Board of Realtors.